Ranchi is the capital city of Jamshedpur. Ranchi RTO is established under the provision of Motor Vehicle Act of 1988 and Motor Vehicle Taxation Act of 1966. It helps in regulating the traffic and managing transport rules and regulations in the city. Ranchi RTO is responsible for the collection of all kinds of road tax. The amount of tax varies based on the type of vehicles. Criteria is also different for different kind of vehicles. In the case of four-wheelers, the tax is collected based on the cost of the vehicle. For two-wheelers, it is charged based on the weight and engine capacity. Likewise for other types of vehicles basis may be different. Vehicle Emission test is conducted to check the fitness of the vehicles to be driven on the roads. Ranchi RTO conducts the same for all the types of vehicles running on the roads of Ranchi. As soon as we purchase the vehicle in Ranchi we must complete the registration. In order to get the copy of registration also called as RC, we need to visit Ranchi RTO. They can give the registration after verifying a few documents. These documents are the copy of the sales certificate, Insurance document, vehicle fitness certificate etc. Driving License is one of the mandatory document for everyone who is driving in Ranchi. In order to get the same, we must visit Ranchi RTO. This is applicable for everywhere who is driving in Ranchi without a valid Diving License. Driving License is valid only for a few years. Before the driving license is expired we must renew it. 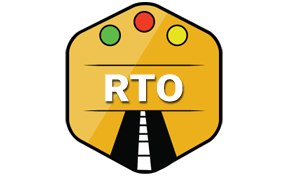 Vehicle owners who drive and other drivers in Ranchi can do the renewal of the Driving license from Ranchi RTO easily. Vehicles arriving in Ranchi from other city need to get the road permit. Ranchi RTO facilitates all the vehicles with the same. RTO of Ranchi is responsible for maintaining the database of all the vehicles running on the roads of Ranchi.